Preparing for the California Basic Educational Skills Test (CBEST) becomes much more manageable when you have the support of a tutor at Grade Potential. Our tutors are specially qualified to offer practical help in CBEST preparation, thanks to their extensive training and experience in the field. Grade Potential tutors provide individualized, one-on-one mentoring and support to students. We work with you on your timetable and at the location that’s best for you, adapting our tutoring to your specific personality and learning style. 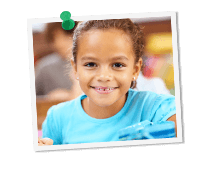 Grade Potential believes in making tutoring connections that have a good rapport and make learning approachable. Rather than sending any tutor to any student, we work hard to provide the right tutors for each individual.